Considered one of the finest musicals ever written, Gypsy follows indomitable stage mother Mama Rose as she chases vicarious success and stardom through her daughters on the vaudeville circuit. When younger daughter, June, elopes, Rose turns her attention to her older, less talented daughter, Louise, who eventually becomes the acclaimed burlesque stripper named Gypsy Rose Lee. Due to high demand, we have added an additional performance on Sunday, March 18th at 7:30pm. BACKSTAGE TOURS & THEATRE ACCESS CLASSES... SIGN-UP NOW! D.C. Anderson* (Pop, Georgie, Pastey, Mr. Gladstone) has acted with the Steppenwolf, Northlight, Repertory Theater of St Louis, Great Lakes Shakespeare Festival, Penobscot, Goodspeed, Florida Studio Theatre, Gretna and Guthrie regional theater companies and NYC's Transport Group, Majestic and York theaters. Film and television credits include Joseph Cedar's Norman and NBC's The Blacklist. Also a singer/songwriter, he has 9 CD's available online. His hobby is photographing people. www.dcanderson.net, www.dcandersonphotography.com. 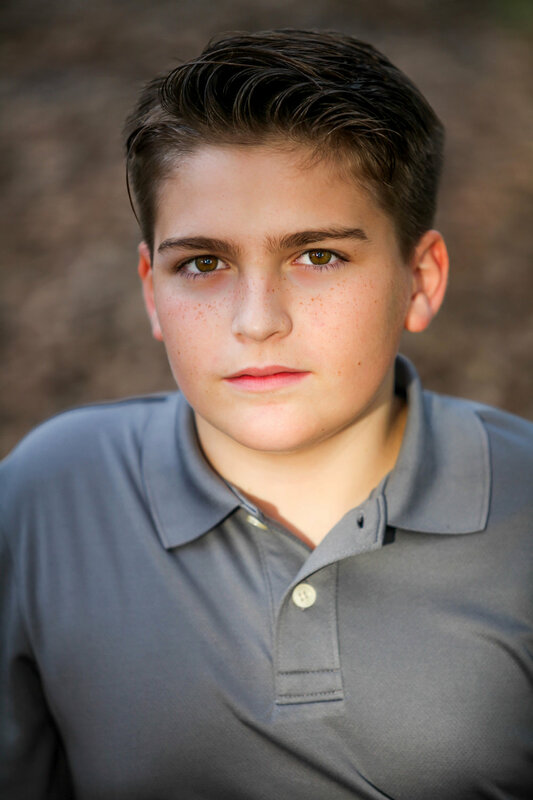 David Calahan (Newsboy) is in the 6th grade and attends St. Helen Catholic School. He has loved the performing arts ever since he was three years old. He is involved at Riverside Children’s Theater and has performed in many plays such as Into the Woods Jr (Jack), Aladdin Kids (Genie), Lion King (Timon) and many more. He has been to the Junior Theater Festival four times in Atlanta and was picked to go to New York to work on Newsies Jr. He enjoys meeting new people from around the world and wishes to be on Broadway! He is happy for the opportunity to be a part of Gypsy. Mary Callanan* (Mazeppa) is very excited to be returning to Riverside Theatre having last performed in Damn Yankees in 2001. Broadway: Bandstand (Jean Ann, Original Broadway Cast), Mamma Mia! (Rosie), Annie (Mrs. Pugh). National Tours: Bridges Of Madison County, Mamma Mia!, big, Damn Yankees, Cinderella and The Sound Of Music. Regional: Gypsy (Rose), Sweeney Todd (Mrs. Lovett), Les Miserables (Mme. Thenardier), Bloody Bloody Andrew Jackson (Storyteller) and Mame (Vera). Cabaret work in Boston, New York and Provincetown. Thanks to CVP, CGF and LAF. 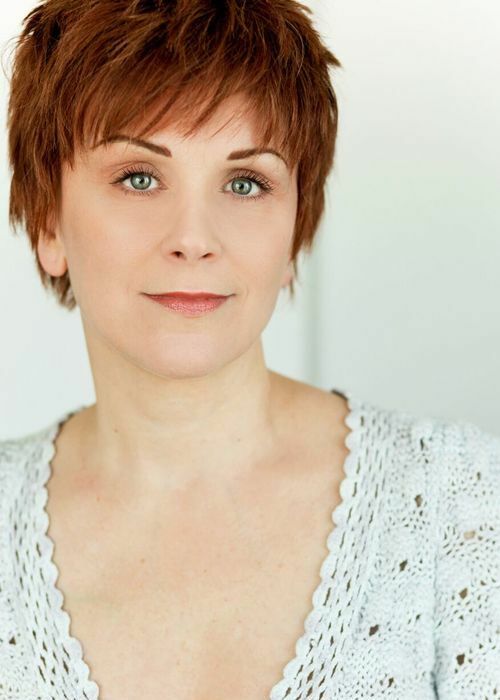 Susan Cella* (Miss Cratchitt, Tessie Tura) is thrilled to return to Riverside Theatre for her fourth production having been here previously in Vanya, Sonia, Masha and Spike; Funny Girl and The Boyfriend. BROADWAY: The Graduate, Crazy He Calls Me, Me and My Girl (opp. Robert Lindsay and Jim Dale), Evita (Evita), On the Twentieth Century and Allegro and Lady in the Dark for ENCORES! NATIONAL TOURS: Fiddler on the Roof (opp. Topol, Theo Bikel and Harvey Fierstein), Hairspray, 42nd Street, La Cage Aux Folles, Me and My Girl (opp Tim Curry) and Can-Can. OFF-BROADWAY: Babylon Line ( Lincoln Center), Cut Throat (Abingdon) Hello Muddah Hello Fadduh (Circle in the Square), Mayor (Village Gate), Jacques Brel (Playwrights Horizons). REGIONAL: It Shoulda Been You, On the Town, Veronica’s Room, Man of La Mancha, Other Desert Cities (4 productions), White Christmas, Anything Goes, Mary Poppins, Witness for the Prosecution, Noises Off, Gaslight, Bye, Bye Birdie, The Full Monty, Hollywood/Ukraine, Mame, Sideman, Company, Voir Dire, Time and Again. TV AND FILM: “Madame Secretary,” “Elementary,” “Person of Interest,” “Law and Order” (2 episodes), “The Sopranos,” “Hi Honey I'm Home” (series regular), “Tavern on Jane,” “The Astronaut's Wife,” “All My Children,” and “Follies and A Sondheim Celebration” for PBS. Thanks Jimmy and Allen. Caleb Cope (Newsboy) is thirteen years old and attends Imagine South Vero Middle School here in Vero Beach. He is excited to be a part of Riverside Theatre’s new production of Gypsy. He has also been a part of Riverside Children’s Theatre where he has done many plays, musicals, and workshops. 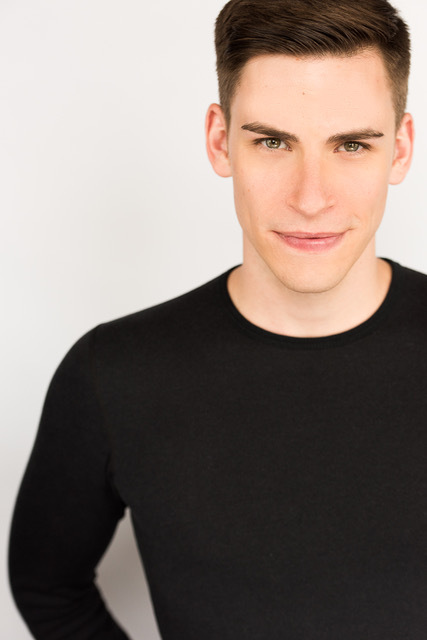 His recent productions include Peter and the Starcatcher (Peter), The Wizard of Oz (Mayor of the Munchkins), Willy Wonka Jr. (Charlie Bucket), and Pirates of Penzance as Frederic. He would like to thank his friends and family for their support, and especially his teachers who have helped him through the busy times. Most of all he would like to thank God, who makes all things possible. Michael Peter Deeb* (Yonkers, Ensemble) is so excited to return to Vero Beach! Previous Riverside credits: Mame (Junior Babcock, Dance Captain), and Hello, Dolly! National Tours: A Chorus Line (Mike), Young Frankenstein (Swing). Regional favorites: West Side Story (Snowboy, Ogunquit Playhouse), Young Frankenstein (Dance Captain/Assistant Choreographer, MTWest; Ensemble, Gateway/Ogunquit Playhouse), A Chorus Line (Mike/Bobby - NBFT/Crest Theatre), The Wizard of Oz (Northern Stage). Favorite role: new husband to Eric! 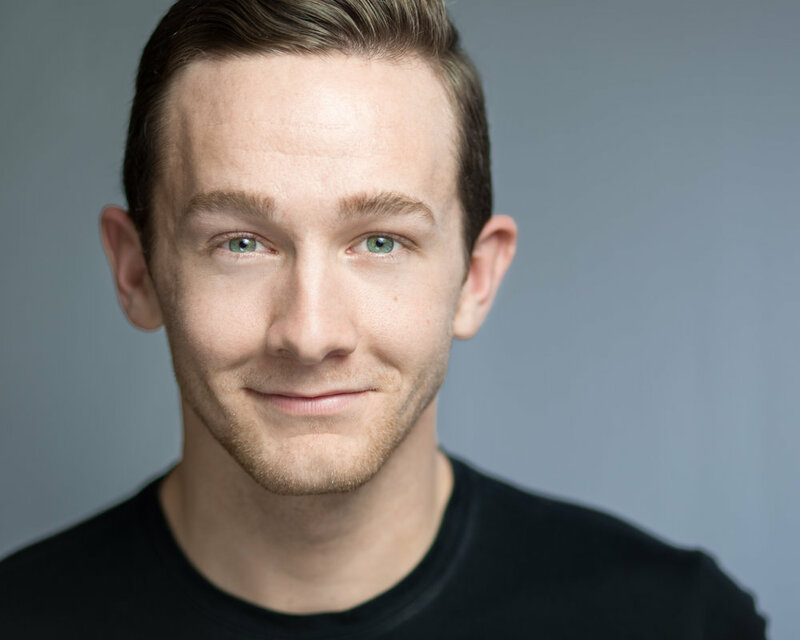 A member of AEA and proud native of Buffalo, NY, Michael holds a BFA in Dance from the University at Buffalo. Thanks to Jimmy, Wojcik/Seay, and MSA; love to family and Koko! For Gramma. Ray DeMattis* (Jocko, Weber, Cigar, Kringelein) Broadway: Fiorello, Little Shop Of Horrors, City Of Angels, Zoya's Apartment and the original Grease. Off-Broadway: Streets of New York, Enter Laughing-The Musical, Talk Radio, Tamara, Flora The Red Menace among others. Television: “The Sopranos,” “Law and Order” (9 principal guest appearances), the three of Bill Cosby’s series, “Everwood.” Film: It Runs In The Family, Untitled, Family Business, Fatherhood, Brewster's Millions. Regional: Actors' Theatre of Louisville, Pennsylvania Centre Stage, GEVA, Long Wharf, Cleveland Playhouse, Two River Theater and others. He served as founding Artistic Director as the National Theatre Workshop of the handicapped, for which he received the Timmy Award. Victoria Dowdell (Jocko Girl) is a 7th grade student at Storm Grove Middle School where she maintains an A average and is active in Chorus and as a cellist in the Chamber Orchestra. In addition to the cello, Victoria has been playing piano for many years and has earned the highest performance rating, superior with distinction. She has been involved in music, dance, and theatre since the age of three, performing with Dance Space, Riverside Children’s Theatre, Indian River Charter High School, and iTheatrics. Some of her feature credits include: Puck: A Midsummer Night’s Dream, Zazu: The Lion King, Kids, Tame Crow: The Snow Queen, Boy: The Witches, Young Clara: Nutcracker in Swingtime, and Aisha: Disney’s Aladdin Jr. with iTheatrics, performed in special arrangement with Disney Theatrical Group and Music Theatre International. 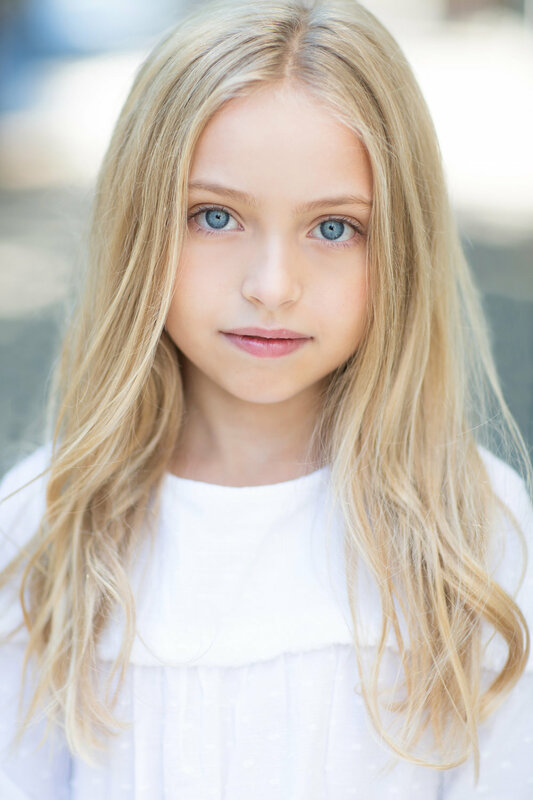 Charlotte Nafe (Jocko Girl), age thirteen, is thrilled to be making her professional debut in Gypsy! She has been studying musical theatre and performing at Riverside Children’s Theatre since she was 7 years old. She currently trains in ballet, tap, jazz and vocal technique. She plans to attend Indian River Charter High School in the fall where she hopes to further her studies in the theatre arts. She would like to thank her teachers, friends and family for their constant support. A very special thank you to her grandparents, Bob & Janis, for helping her pursue her dreams. Bryce Roux (Newsboy) is an 8th grader in the Advanced IB Program and select Madrigal Choir at Sebastian River Middle School. 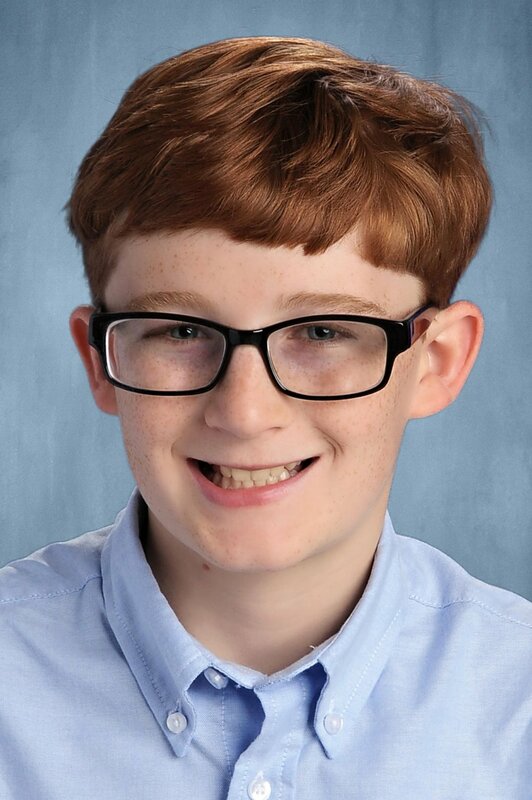 Most recently, Bryce was seen as Ralphie in the Riverside Theatre For Kids production of A Christmas Story: The Musical, the evil Grempkin in last summer’s Peter and The Starcatcher, and Lysander in last spring’s A Midsummer Night’s Dream. Bryce dreams of becoming the General Manager of a professional sports team. Love and gratitude to family, teachers, and all at Riverside. 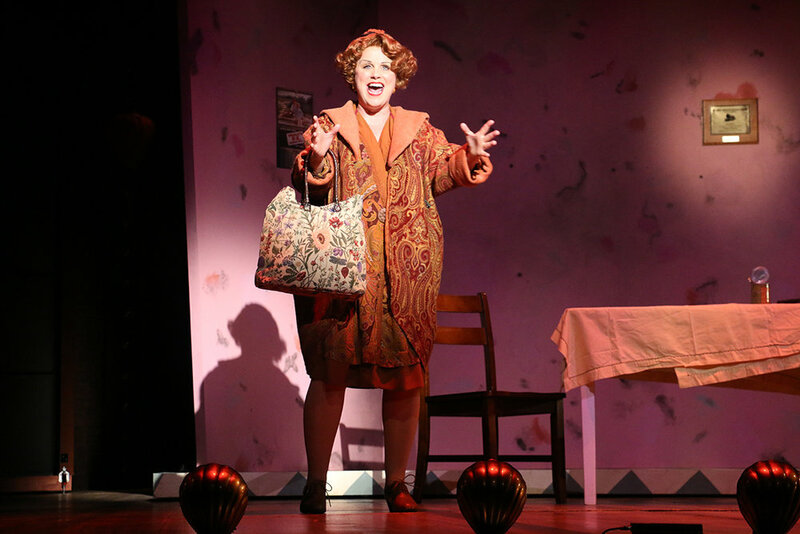 Rachel Schimenti* (Agnes, Hollywood Blonde, Ensemble) is elated to join the Riverside family as “Agnes” in Gypsy! Favorite roles include: Mamma Mia (Lisa), Crazy For You (Patsy), White Christmas (Rhoda), Twelfth Night (Olivia), Fiddler (Hodel), Nunsense (Amnesia), Spelling Bee (Schwartzy), Dames at Sea (Joan), and Suds (Dee Dee). BFA Musical Theatre from UCF. Gratitude to the cosmos for the opportunity to tell story with this wonderful cast and crew. Eternal love to her family, friends, and Teddy! Jennifer Seifter* (Hollywood Blonde, Ensemble) thanks her lucky stars (and Jimmy Brennan) to be returning to Vero for the third year in a row. National Tour/Cruise lines: Memphis (White Teen Girl), Disney Cruise Line (Swing/Dance Captain). Regional favorites: Mame and Hello Dolly! (Riverside Theatre), Ali, Sophie u/s in Mamma Mia (John W. Engeman Theatre), Zaneeta in The Music Man and Alice in Seven Brides for Seven Brothers (LTOTS), Cats (Rumpleteazer). BFA: NYU/Tisch. Thanks to Wojick/Seay Casting and Jimmy for keeping me employed, Eddie at Take3Talent, the cast, crew and patron producers of Gypsy, and Mama Trish, who never fails to miss a show! Jenna L. Smith (Jocko Girl) is a 7th grader at Gifford Middle School. She enjoys dancing, singing and all things athletic. Jenna has been involved with the Children’s Theatre dance program for over 9 years and has performed in The Nutcracker: In Swingtime. She has also done several summer drama performances for Vero Beach High School summer drama camp with Ms. Dee. Jenna is very excited as this is her first professional production. She would like to thank her jazz teacher, Tara Schweitzer for suggesting she tryout for Gypsy as well as her parents for encouraging her to do so. 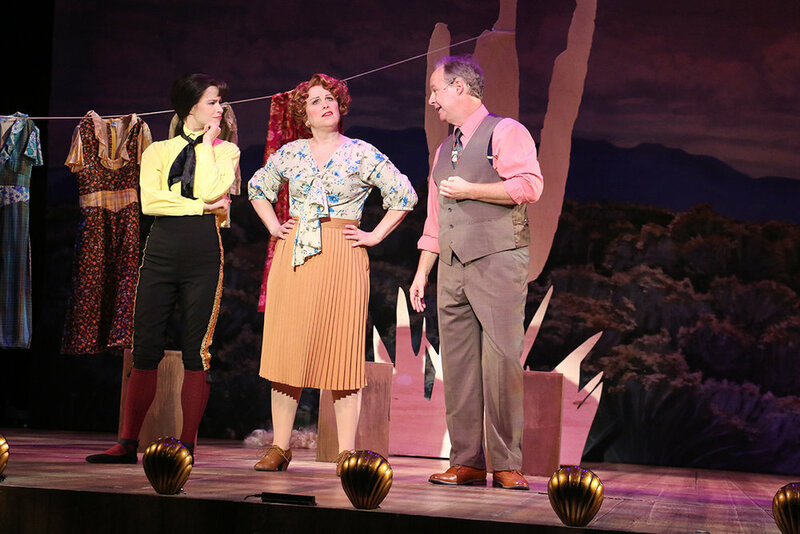 Jenna would like to thank the entire Gypsy cast and can't wait to see the audience’s reaction to the performance. Kelsey Stalter* (Ensemble) is thrilled to be working with James Brennan again while making her Riverside debut! Kelsey has traveled around the country-- and in international waters-- performing in tours, regional theaters, and on cruise ships. Favorite credits include: Ginger Rogers (Backwards in High Heels), Audrey (Little Shop of Horrors), and Lois Lane (Kiss Me Kate). Thank you Wojcik/Seay for this amazing opportunity, Craig and Avalon Artists for helping me along the way, and to Matt and my incredible family for always supporting my “gypsy" life. Charity Van Tassel* (Dainty June) is a native of Beyoncé’s homeland, Houston, TX and is very excited to be joining the cast of Gypsy! Previous credits include; Gypsy (The Engeman Theater) Sound of Music (Nat’l Tour), Kiss Me Kate (Lois/Bianca), The Winter’s Tale (Houston Shakespeare Festival), Saturday Night Fever (Walnut Street Theater), The Who’s Tommy (Theater Under the Stars), Peter Pan (Syracuse Stage), Mamma Mia! (Westchester Broadway Theater). Charity has a BFA in Musical Theatre from Syracuse University, and proudly bleeds Orange. For Mom, who took me to my first Broadway show- Gypsy with Bernadette Peters. Bob Walton* (Herbie) Broadway: The Drowsy Chaperone, 42nd Street (Revival), The Ziegfeld Follies of 1936 (with brother Jim Walton), Once Upon A Mattress, Show Boat, and City Of Angels. 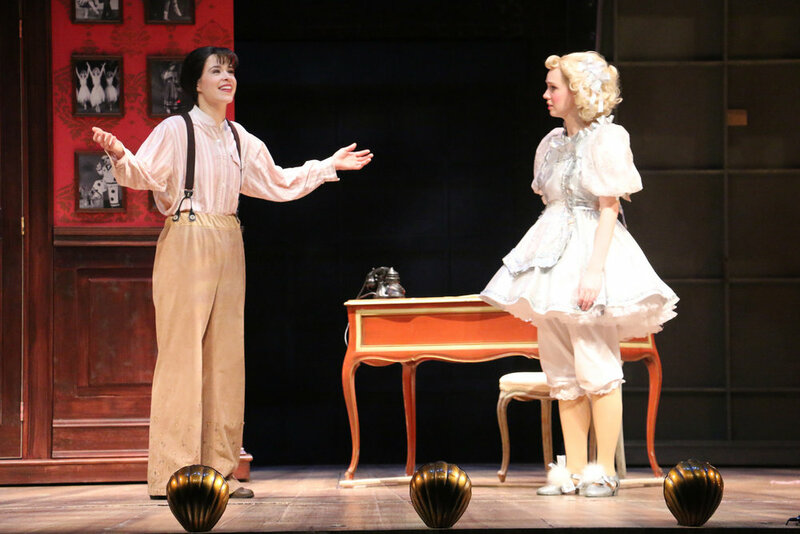 Off-Broadway: I Love You/Perfect/Change, Forbidden Broadway Strikes Back and Preppies, and many regional productions. TV: “Elementary,” “The Good Wife,” “The Americans,” “Person Of Interest,” “Nurse Jackie,” “Law and Order: SVU.” As a writer with brother Jim: Mid-Life! (The Crisis Musical), Mid-Life 2! (#WhatDidIComeInHereFor? ), Double Trouble (A Musical Tour de Farce) and A Day In Gloucester. Bob is co-author of the Off Broadway play, Game Show. Married to Laurie Walton, they have two actor children: Emily and Alex. Quinn Wood (Baby Louise) is thrilled to be making her Riverside Theatre debut! Regional theatre credits include: Wizard of Oz (Lullaby League/Munchkin) and Annie (Children’s Ensemble) with Walnut Street Theatre in Philly; Show & Tell: The Musical (Anabelle Carrington) at The Workshop Theater in NYC. Quinn has also performed with Pennsylvania Ballet in George Balanchine’s The Nutcracker.™ TV: “Deadliest Decade” (Sarah Rairdon). Quinn would like to thank the Riverside Theatre team & patrons, Wojcik|Seay, The Walnut, Julie Z., Bowman, HTAC and all her family, friends and teachers for supporting her throughout this experience.